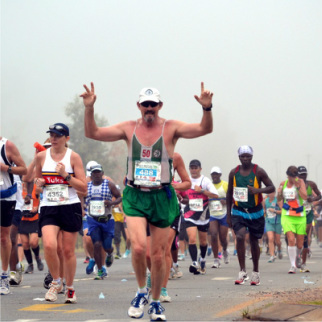 Membership to the Vaal Athletic Club is open to anyone that wishes to join. We welcome all who share the common interests of running and good company. Saves you money - Annual ASA licence is included. No need to purchase expensive tempory licences at all the races. Free entrance to club functions, The Pre-Comrades, AGM & Awards Dinners. Motivation and camaraderie of being part of a team. Regular updates on races and running related activities. All fees are annual fees and run from 1st January - 31st December every year. It also includes your annual ASA licence fee / number. If you wish to join, please print out, fill in the forms below. They can then either be email, faxed or handed over at any Tuesday evening Time Trial. Please Note: Both of these forms need to filled in and returned along with a copy of your ID Document and proof of payment. EFT payments are also accepted. Please send an email to admin@vaalac.co.za to request our bank details. The Vaal Athletic Club kit is available to purchase from Gys or Steve Jackson on Tuesday evening after Time Trial. Wearing the club colours is a requirement for all members, failure to do so at races could result in disqualification. Green Skorts for Women. Black ski pants can be worn under the shorts/skorts. Right: Former chairperson, Steve Jackson, modeling the official club kit.